After almost seven years from Persona 4, it is time to know more about what will be the fifth installment of the saga. They have not been seven years vacuum of course, we had revised versions of the quarter (Golden Vita), we have had several animated series, movies-there are now a series of five films on Persona 3, the third in path way - two fighting games, Persona Q, and even the future Persona 4 Dancing All Night. But there was much interest in seeing as Katsura Hashino began a new era in the saga, after bringing her to stardom in Atlus from Persona 3. What until then spin off of the main series, Shin Megami Tensei, achieved with the new address recognition and sales that transformed the star studio name, creating a name with an international following who never had any Japanese game company. It's been a long road to this first official trailer. The truth is that a new Persona well before ultimately expected, between Persona 3 and 4 are only two years. It was obvious that the team had to make a technological transition to the new (and old) generation and that it would take longer, but few suspected that it would be both. On the way they created Catherine, what many saw as a visual and technological advancement of what the team was preparing, but certainly have been hard to show the coveted fifth. Knowing anticipation, Atlus has kept showing it in pills, well accompanied by promoting their other games. First it was a very small teaser with key argument "Want emancipation" and the color red as iconic Person 3 game has the blue, the yellow-Persona 4 further confirmation would be for PlayStation 3. Then came another teaser, this time a small animation, which allowed us a first recognition of the character, location and further confirmation that also comes to PS4. To show what the first trailer of the game itself, Atlus has spared no resources and has resorted to its traditional and psychedelic guerrilla marketing. Knowing that is not the kind of company that you are booking a stellar place in a Final Fantasy type E3, the studio has always relied on talk directly to fans and create events with a point of trolling and surreal. This time they have organized a crazy world streaming 30 hours with different events. Top 25 topics chosen by the fans, top 10 characters, presentation of the third film of Persona 3, first trailer of Dancing All Night ... all topped by a musical concert at the Nippon Budokan in Tokyo, one of the great landmarks events and concerts in Tokyo. 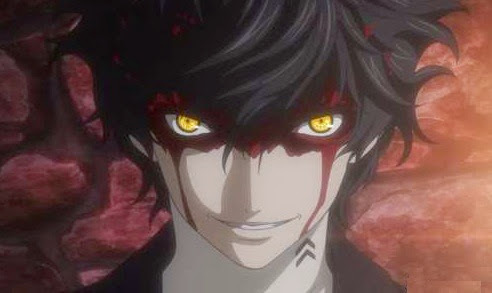 With a packed to the rafters, the musical director Shoji Meguro, along with all those responsible for the superb music of the last person, has reviewed major themes of the series. And as if to say "goodbye" and usher in the new era, the concert ended with the expected trailer Person 5 at hand, also issued by streaming hundreds of thousands of fans who have followed him. Perhaps three-minute trailer does not seem much to talk about what it offers, but it has offered a lot of interesting details for the amateur. On one hand, it can be seen visually stylized style but more realistic and proportionate in previous occasions. Following the tradition of the series, the series focuses on a group of high school students, but this time it has opted for a more adult representation before the previous two personas. Trace of Catherine is clearly seen in the way the characters and their surroundings displayed. The game scenes we've seen show a huge leap forward from Persona 4, especially since the new scenario is not the bucolic and rural Inaba, but we are now in full Tokyo. We have seen subway scenes and street full of anonymous people walking, and given that the last person have been characterized by his enormous sense of place, seems to have all the technological resources to ensure that the same is achieved with a city so difficult to portray as the Japanese capital. Also, we saw the magnificent staging of menus and transitions, with a great sense of style that reinforces the presentation itself-not game can be seen in static images, we recommend seeing the trailer to appreciate it. Among the details that have been highlighted, seems to be betting on more types of actions in the dungeons, with sequences of jumps and infiltration performed in environments with rich decoration and a new level of presentation in Persona 4 and there was a considerable jump in front of the Tartarus monotonous, and it seems that here will advance in this road. Surely the basic mechanics will not change much, advance to find outlets while avoiding or you face the Shadows in your path, but that show these specific sequences may indicate that they will try to give some variety to its mechanical motion. Once in combat, it attracted wide attention the return of firearms, missing since Persona 2. Apparently, each character has a melee weapon, and another fire, which would change the style of combat; in the trailer plus we had occasion to see attacks by People. Instead, the characters -Wedding suits and masks-used direct attacks and distance, and shows the stylish new joint attack. Let's wait to see how the new system of people, though perhaps at the end of the trailer have a clue when the protagonist directly transforms into a demon. And about the characters, we have some key thank not only the trailer but Hashino interview with Famitsu. Atlus seems to have made one of his famous teasing his fans when it first introduced the protagonist; many saw bland and called "Harry Potter" or "Potter-san", venturing to be repressed and shy personality. But since then the image is completely broken after the trailer, where we see infiltrating with confidence at a party wearing a mask, or a cocky point and even aggressive in some sequences. Hashino commented that the greatest influence in this story is fictional school youth and the picaresque novel. The three players in this trailer over the new mascot in the form of cat- are what Japan would be defined as "juvenile delinquents" with bad reputation at school and little interest in their future. The director has said that in his last game the characters were clearly "good" chasing the bad; in Persona 5 will be "something different" and expressed his hope that the fans received well despite their forms will be less friendly than previous protagonists. About that, also anticipates that the group's goal this time will pursue its own definition of "justice" after a certain incident, making it clear that they will do outside the "law and order" the costumes vigilantes make clear this purpose. And if there is any doubt the change of pace, in the trailer we see that the new "Velvet Room" is a very different place: a jail, with locked protagonist in the presence of Igor and two new guards, very different from the elevator or limousine old. The plot will revolve around the seven deadly sins. The presentation was excited and both amateur and no fans have fallen rendered before the huge style that follows the trailer and its characters. Intended to recover some parts of the essence of the above through three person, but you can count on subsequent issues as Social Links and other components that have given the series its current popularity also captures. In principle, until further notice, the game is planned for this 2015 in Japan and USA, both PS3 and PS4.